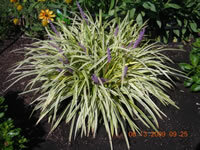 Big Blue or Variegated Lily Turf (Liriope muscari) and Creeping Lilyturf (Liriope spicata) are semi-evergreen, grass like ground cover plants that grow as spreading clumps of fine, dark green or variegated leaves that turn to bronze-green in the winter. They are members of the Lily family that are closely related to the Mondo Grasses (Ophiopogon). 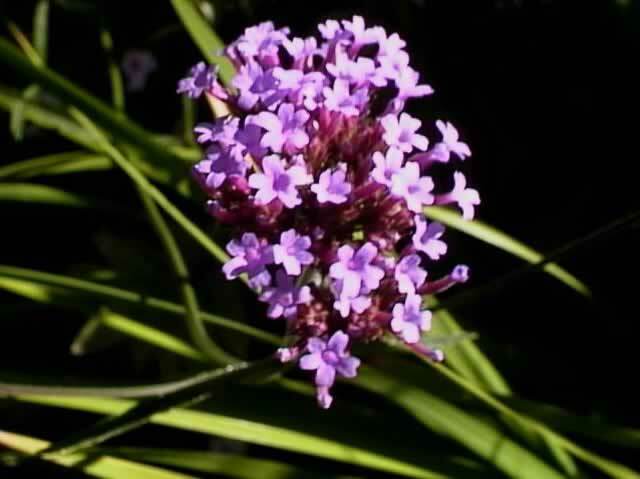 Liriopes produce spikes of tiny flowers in late summer, followed by pea-sized berries late in the fall. Lily Turf are excellent plants to grow in beds of spring flowering bulbs, where they will fill in as the bulbs fade, and are perfect for growing under trees, or for erosion control on banks and slopes. Liriope muscari are hardy in USDA zones 6-10. They are relatively slow spreading plants that eventually form large, 24"-30" wide clumps of loose, 18" tall, ½" wide leaves. Lily Turf plants form 6"-8", spikelike clusters of ¼", white or purple flowers that stand above the foliage on 5"-12" stems in late summer. Variegated Lily Turf has slightly wider leaves that are edged with creamy yellow or white. Liriope spicata are hardy in USDA zones 4-10. They grow 8"-10" tall, forming dense mats of ¼" wide, glossy, dark green, grass-like leaves that spread quickly by underground rhizomes. 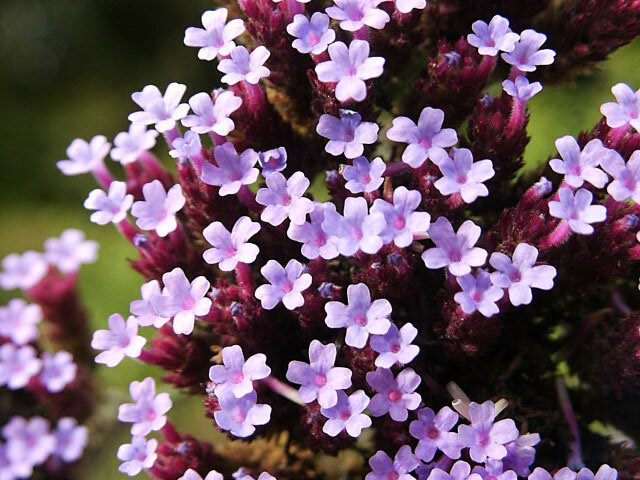 Creeping Lily Turf produces dense spikes of tiny, bell shaped, Lilac colored flowers that stand just above the foliage in late summer. Creeping Lily Turf should NOT be used as a lawn substitute! Lily Turf Plants can be grown in almost any amount of light from full sun to deep shade, except in regions with hot summers or extremely cold winters, where they shoulld be planted in partial shade. Variegated Lily Turf grows best in partial shade. in loose, rich, well-drained, slightly acidic soil. Water regularly throughout the first growing season to help establish a healthy, deep root system. Once established, Lily Turf plants are very drought tolerant. To maintain a neat appearance, mow or shear the foliage back to the ground in late winter or very early spring, before any new growth begins. The easiest method of propagating new Lily Turf plants is by digging and dividing established plants in early spring. 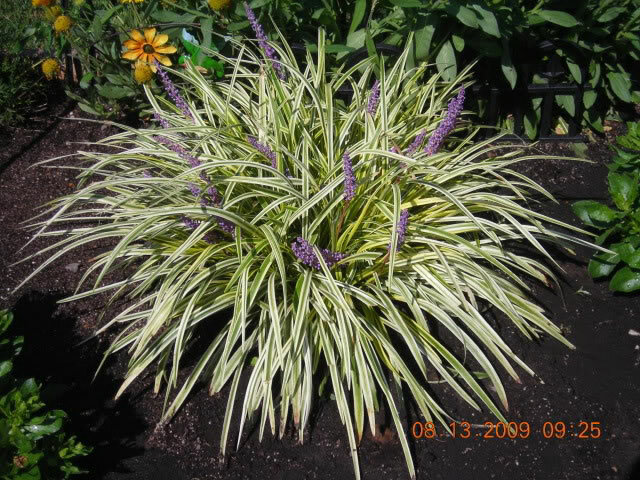 Liriope plants should be divided every two or three years. Liriope seeds should be soaked in warm water for 24 hours before sowing! Sow seed directly in the garden anytime from late spring up until 2 months before the first frost date. Sow Lily Turf seeds indoors in late fall or winter. Maintain a temperature within the growing medium of 65°-70° during germination, which takes 30 days.